Just a stone’s throw from the Eiffel Tower, this chic and completely renovated 4-star hotel on the left bank, is the perfect place for both business and leisure travelers. 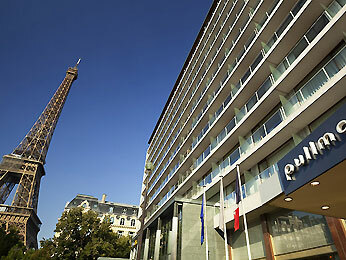 With its 23 modern and modular rooms, the Pullman Paris Tour Eiffel hotel breathes new life into your meetings and events. Stay active in our fitness room, with its stunning view of the Trocadéro, while the hotel’s bar and restaurant, Frame, is the ideal place to meet and relax in a cosmopolitan atmosphere.